New York: Southwest Airlines Co., the largest operator of Boeing Co.’s 737 Max, said the model’s grounding amid safety concerns will combine with soft demand from leisure travellers to shave $150 million (Dh551 million) off first-quarter revenue. The amount is on top of a $60 million reduction from the US government shutdown earlier in the period, Southwest said Wednesday. The Max groundings, bad weather and reduced productivity during contract negotiations will together force the cancellation of 9,800 flights in the three months, it said. The 737 Max has been grounded worldwide after an Ethiopian Airlines plane crashed on March 10, raising concern that the disaster may have been caused by errant software that contributed to the loss of a Lion Air jet that plunged into the Java Sea in October. The incidents killed a total of 346 people. 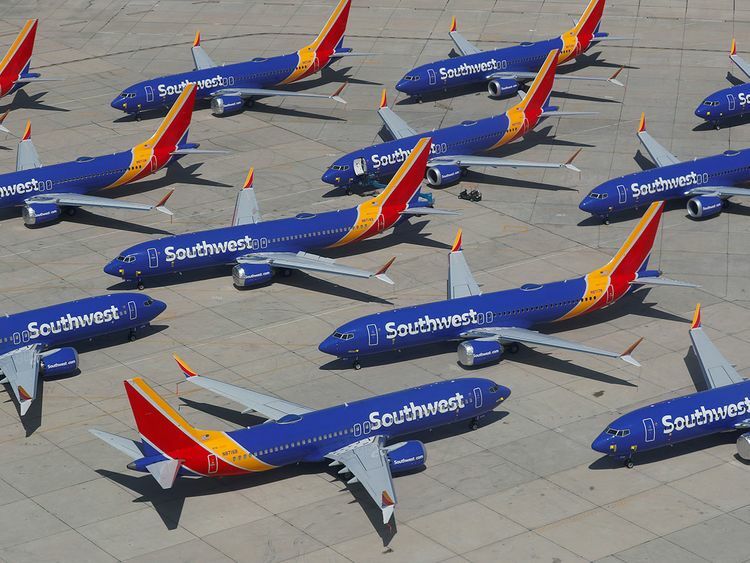 Southwest, which has 34 Max jets in its 750-strong fleet, said in a statement that it can’t predict the financial impact of the grounding beyond this quarter. Gains in unit revenue, a measure of fares, will also be limited to 2 to 3 per cent, down from earlier guidance of up to 4 per cent, the discounter said. Costs for each seat-mile flown will rise 10 per cent, up from the previously estimated 6 per cent, and capacity growth will slow to 1 per cent from the anticipated 3.5 to 4 per cent. Shares of Dallas-based Southwest shares fell as much as 2.6 per cent in pre-market trading.